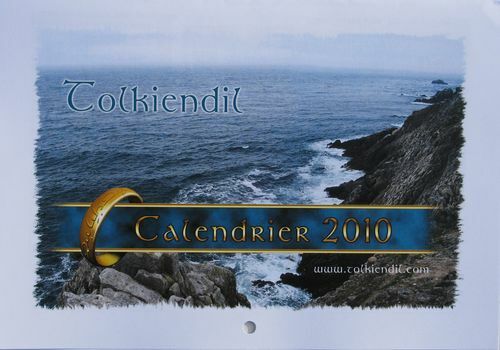 Issues from Tolkiendil, a French (speaking) society. 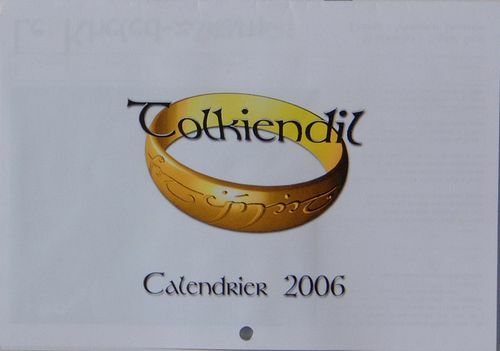 As described on their website: Since January 2003, Tolkiendil is an Association Loi 1901 [a non-profit association in France] whose purpose is to promote the knowledge of J.R.R. 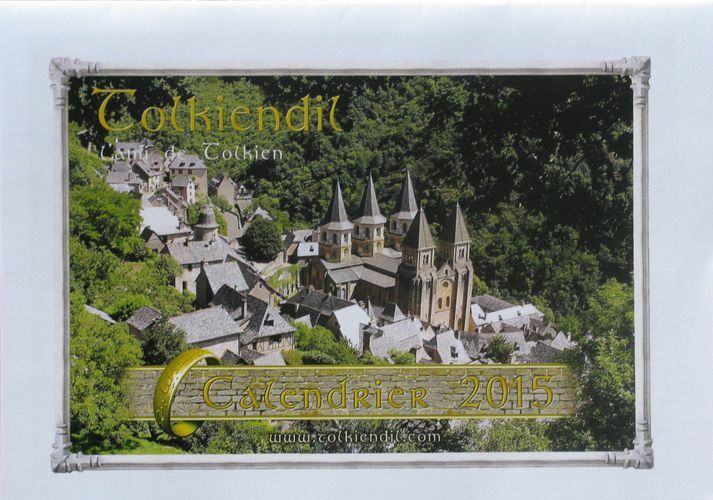 Tolkien's work in the French-speaking world. 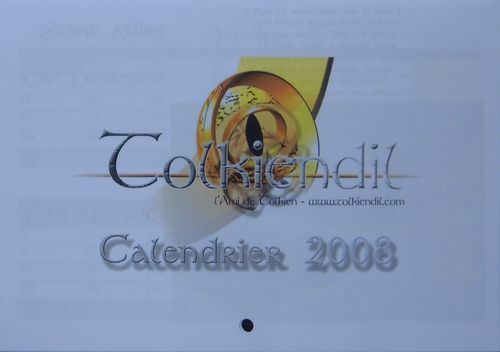 The association's activities are mainly centered on the exchange of information about J.R.R. 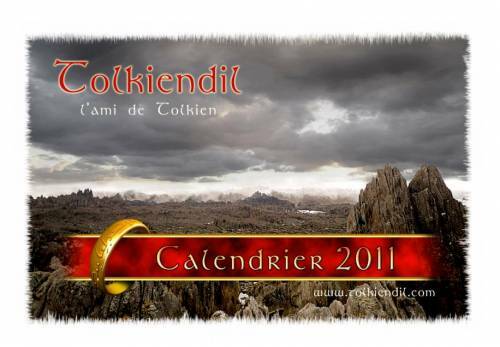 Tolkien's work through means permitted by the Internet." 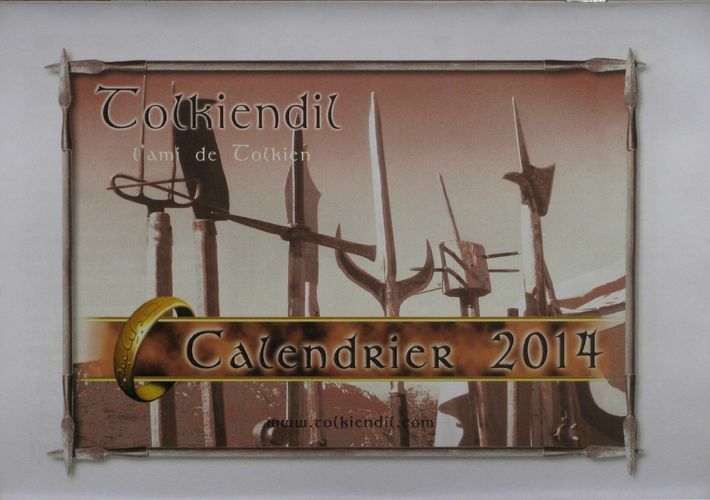 These calendars are quite well done and indicate a very active and involved membership. 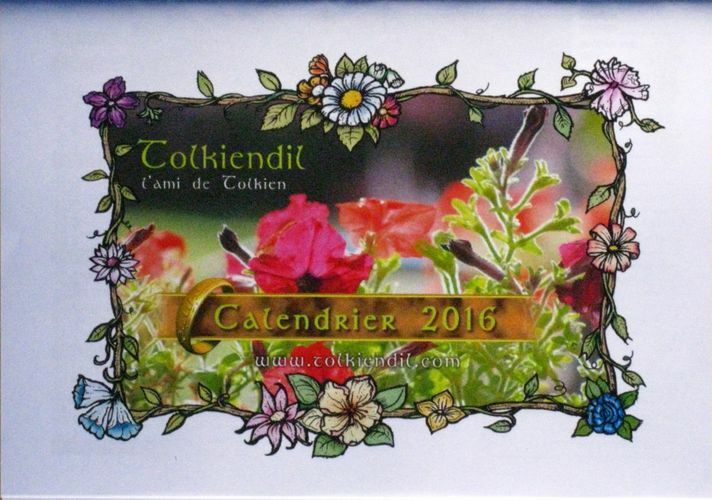 "Thag you very buch" to Zelphalya for her continuing support to collect these issues! 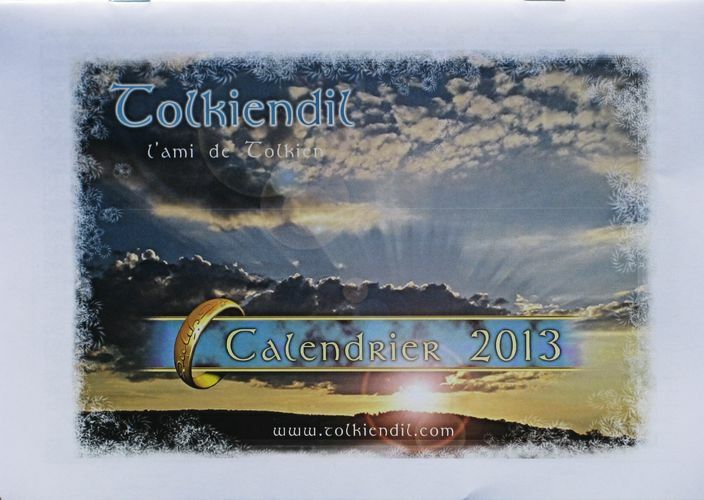 “Tolkiendil l'ami de Tolkien Calendrier 2013" Issued by Tolkiendil, a French Tolkien society. 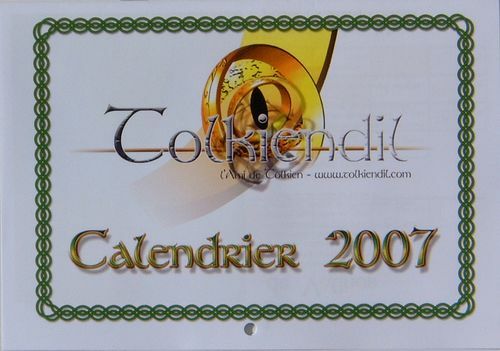 Dimensions: ISO A4: 8.25 x 5.75 inches (w x h). 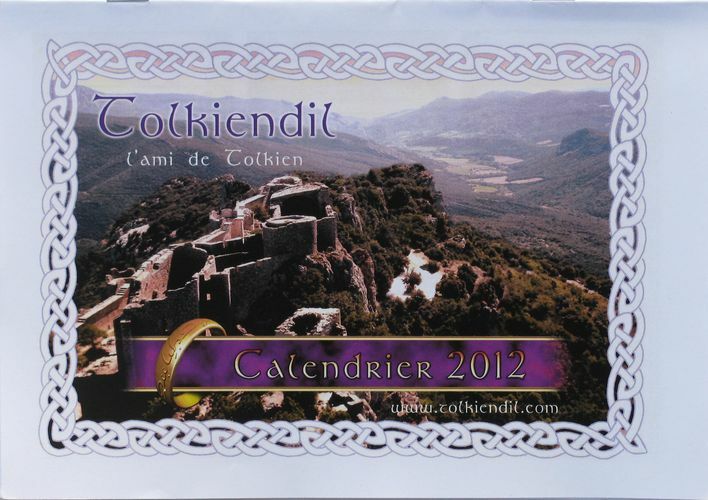 “Tolkiendil l'ami de Tolkien Calendrier 2013" Issued by Tolkiendil, a French Tolkien society. 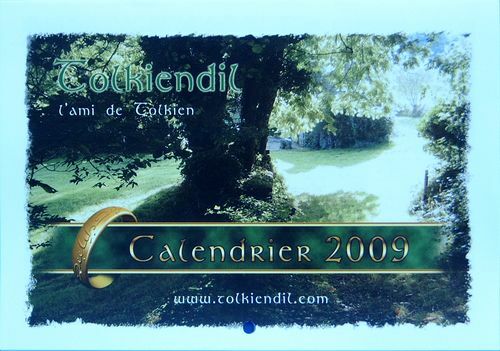 Dimensions: ISO A5: 5.75 x 4 1/8 inches (w x h).